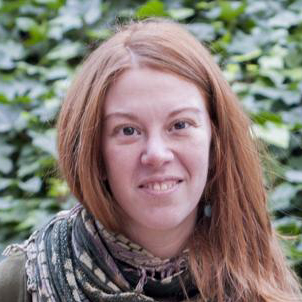 Mónica H. Pérez-Temprano obtained her BS degree in Chemistry at the University of Valladolid in 2005, and her PhD in 2011 under the supervision of Prof. Espinet and Prof. Casares. As a graduate student, she investigated the mechanisms of different palladium-catalyzed processes. Next, she joined the research group of Prof. Sanford at the University of Michigan where she focused on the synthesis and reactivity of high-valent palladium(IV) complexes. In 2015, she began her independent career as Junior Group Leader at Institute of Chemical Research of Catalonia (ICIQ). At ICIQ, the Pérez-Temprano group is focused on understanding organometallic processes relevant to catalytic transformations. She is co-authors of 16 publications in high-impact factors journals such as Angew. Chem. Int. Ed. and J. Am. Chem. Soc. Mónica has received different awards and honors including the JSP Fellowship (Bürgenstock Conference 2018) or the 2019 Thieme Journal Award as Promising Young Professor. She also was selected as one of the “Talented 12” of 2018 by Chemical & Engineering News (C&EN), the weekly newsmagazine of the American Chemical Society (ACS). She is also involved in outreach activities to promote the participation of scholars in Science.